Sorry to hear that Zsa Zsa Gabor passed away yesterday. She was 99. I had one encounter with her back in 1969. 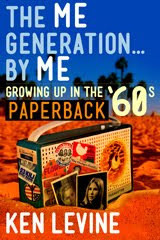 I recount it in my book, THE ME GENERATION...BY ME (GROWING UP IN THE '60s (which would make a WONDERFUL Christmas gift. Hint hint. You can order it here. ), but I thought in honor of Miss Gabor (who was a Mrs. nine times), I would share it today. This was when I was an undergrad at UCLA. Still, I took a lot of television and film courses anyway. 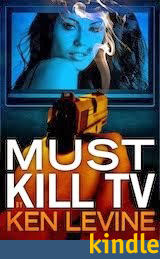 There was an extra-curricular TV talk show that aired closed-circuit in the dorms. I volunteered to be a gofer. I’d like to say I gravitated towards television because I wanted to expand my horizons, but the truth is the assistant director was the heiress of a major national furniture chain and I had a major crush on her. I so wanted to sleep with her and get a discount on a new dinette set. Alas, "the store was closed" on both accounts. One of my assignments was to pick up the guests if they didn’t wish to drive themselves. 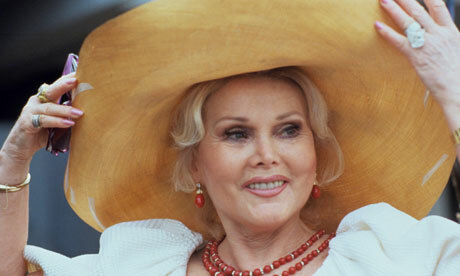 First up was Zsa Zsa Gabor. She was an actress/personality known more for her nine marriages than her stellar film work. She was one of the Gabor sisters (Eva and Magda being the others of course). Her movies were, uh... never mind, just think of Zsa Zsa Gabor as a 50-year-old Hungarian Kim Kardashian. She was appalled that I showed up in a Ford Mustang – like UCLA was going to send a stretch limo for Zsa Zsa Gabor. We’re driving along in silence. Me in the front and she in the back as if she were in a limo. All I needed was the little hat. Finally, I decided to make a little conversation. I asked her what I should do about the furniture heiress. “Vell, get a new car, darlink,” was her first suggestion. I don’t recall her other tips (probably buy her expensive silverware); I just recall thinking how absurd this was that I was getting love advice from Zsa Zsa Gabor. Well, she outlived her mother by 1 year. Save for her rather sad final few years (poor health, including a leg that was amputated, plus exploitation by a man who likely didn't love her), Zsa Zsa enjoyed life, had a good sense of humor and apparently didn't mind when the joke was on her. I like to think she's laughing somewhere, probably making a wisecrack to sister Eva about her wig company. So I read Ken's post twice, the second time looking for spelling mistakes,and he didn't mention Green Acres so I guess that's the other Gabor sister. Zsa Zsa was an even less an accomplished actress, known primarily for starring in her own version of Beverly Hills Cop, slapping one across the face then driving away. I guess with Ken behind the wheel, I don't know. ZZ was married 9 times to 9 different men, just 2 short of a Manchester United starting line-up. This chick said "I do" more then Orson Wells answering "who wants dessert?" She was one of Dean Martin's Gold Diggers, always standing at the alter with one of those gold mining pans. What kind of idiots would marry this woman? Charles: It looks as though I've been taken to the proverbial cleaners! Hawkeye: You have been proverbially washed, dried, folded and put in the dryer! Good for her though, living to be 99. The last 5 years she was on life support after living the previous 50 years on spousal support! I remember her appearing on "My Three Sons" Ernie referred to her as "Miss Zsa Zsa". In the seventies, my aunt took a job as personal assistant to Zsa Zsa Gabor. She quit after one day. 1. Her first duty was to fire her predecessor. 2. Zsa Zsa was married at the time to a man named Jack Ryan. The staff was given strict instructions: you must address Zsa Zsa as "Miss Gabor"... unless Mr. Ryan was in the room, and then you had to address her as "Mrs. Ryan." That's like receiving sensitivity training from Donald Trump. Ken-I really am blown away by you regularly. Loved the anecdote, and the telling of it was wonderful. Thanks for sharing it. Did you hear that rumble? That was Ms. Gabor turning over in the mortuary at the sound of "Kardashian" and her name in the same sentence. Thanks for the gift idea. 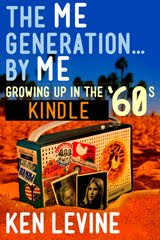 Your book is on the way to a friend who grew up in San Diego during the sixties. I look forward to his comments on that. Wonder if when she gets to wherever she's going if there will be a line of cops waiting to slap her. Was it Zsa Zsa or Eva who made the Fast Food Trip with David Letterman? I never could remember which Gabor sister was which. Well, in fairness, she appeared in a number of excellent films, including MOULIN ROUGE, LILI and TOUCH OF EVIL, and also starred on Broadway in FORTY CARATS. So she wasn't THAT bad an actress! 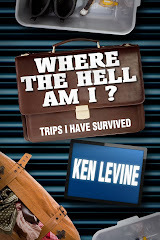 For those that have not read Ken's book, do so. Obviously, it's less than a cup of coffee, and trust me it will stay with you far longer, and make you far happier. I may purchase another copy, as I gave it to someone a year ago, and haven't seen them (or the book) since. She did appear in a couple of good movies, GIGI and MOULIN ROUGE (the one about Toulouse Lautrec), so she's two up on the whole Kardashian Klan. I think it was Eva in Gigi. My twin brother while a page at NBC Burbank was sent to pick up Ed Ames and his son for the Johny Carson Tonight Show. The producers did not know my twin drove a beat up old VW Bug! Mr. Ames was less than impressed. was the heiress of a major national furniture chain and I had a major crush on her. I so wanted to sleep with her and get a discount on a new dinette set. Alas, "the store was closed" on both accounts. Isn't that the plot of Dirty Rotten Scoundrels?